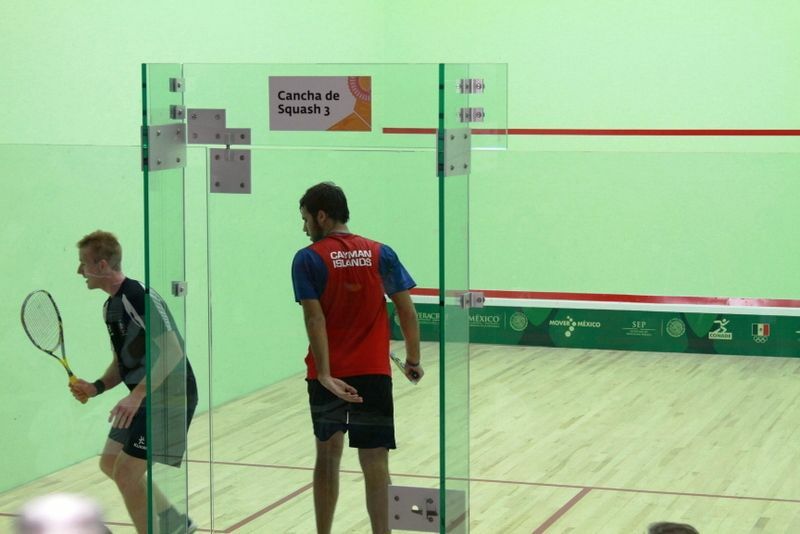 VERACRUZ, Mexico – Virgin Islands squash player, Joe Chapman, having battled to victory in the round of 32, bowed out of the XXII Central American and Caribbean (CAC) Games Squash Championship in the quarter finals on Monday November 24, 2014, whilst Tahesia Harrigan-Scott took a giant stride towards her goal of a third CAC 100m Gold. Chapman played world ranked #12, Colombia’s Miguel Rodriquez in the quarter finals and lost 3-1, after a hard fight, 11-7, 6-11, 11-5, 11-1. 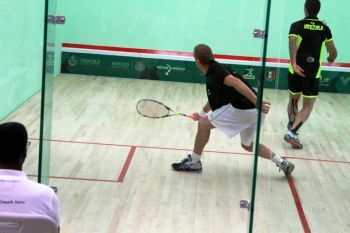 After just a brief recovery period, Chapman and Joseph Kneipp returned to court and defeated Kevin Hannaway and Jules Snagg of St. Vincent and the Grenadines, 11-3, 11-7 in Round 16 of the men’s doubles. 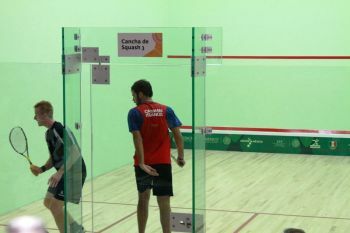 The Squash tournament kicked off on Sunday with Round of 32 when Michael Adamson played against Ricardo Teran of Venezuela in the Leyes de Reforma Venue in the city of Boca Del Rio. Adamson lost in 4 sets 11-5, 11-4, 5-11 and 11-5. Elsewhere and on the track, Tahesia Harrigan-Scott safely navigated her way out of the 100m semi finals to qualify in third spot in Heat two with a time of 11.60. She was the fifth fastest qualifier ahead of the Final (Tuesday 25th November) and will be joined in that final by Laverne Jones, who qualified from Heat One in a time of 11.63. Does the locals play squach? Joe is local. Put away your racist comments na man. Dis internet ting fa da whole world to see. It aint juss trading barbs at da well! Struppes!